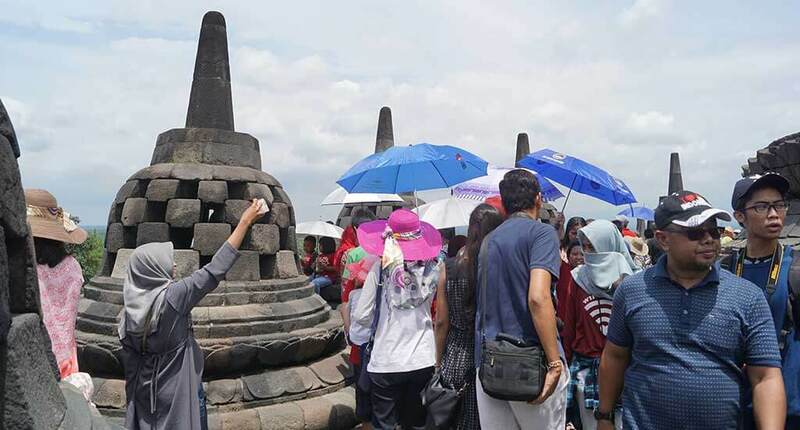 Borobudur Temple Java is a Mahayana Buddhist temple in Magelang that dates back from the 8th or 9th century and is located in Central Java, Indonesia. 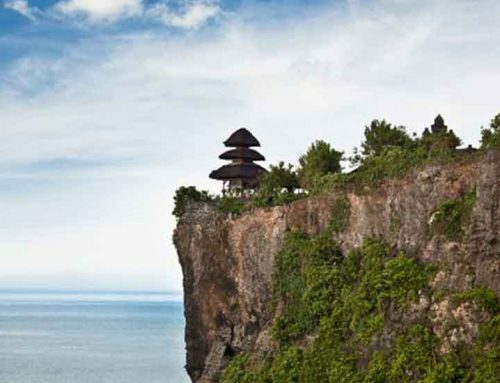 It holds the title of being the world’s largest Buddhist temple. The temple is decorated with many intricate relief panels (2,672 to be more exact) and 504 Buddha statues. 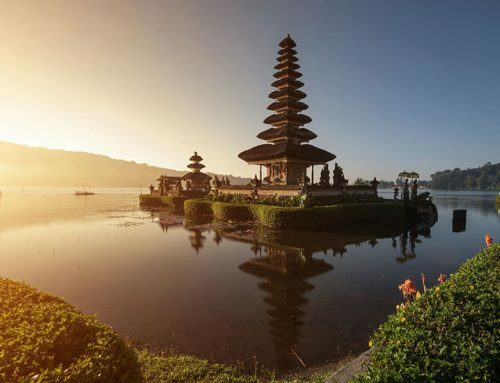 Built in around 800 C.E., during the reign of the Sailendra Dynasty, the temple’s architecture is a unique blend of the Indonesian indigenous design features and the Buddhist elements. The temple also has Indian influences which are reflected in elements of Gupta art. 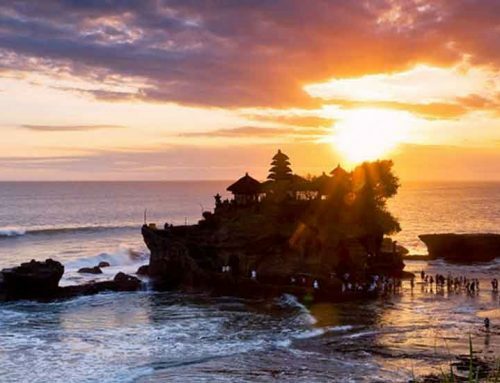 Yet there are plentiful indigenous scenes and elements incorporated which make the temple distinctively Indonesian. 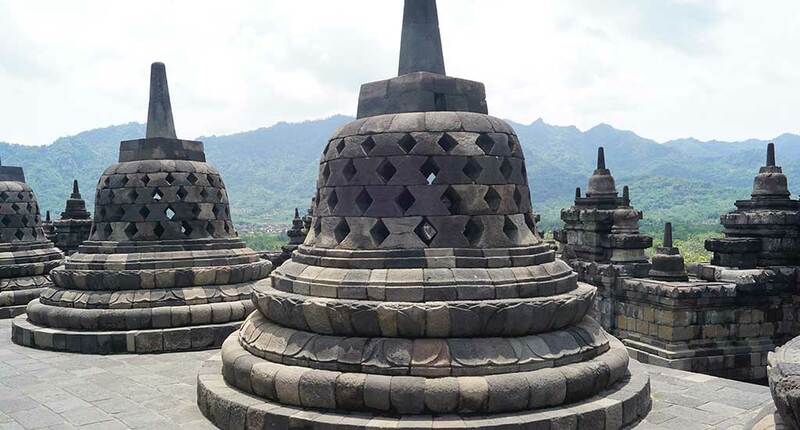 Candi Borobudur’s design was designed by the poet, thinker, and architect Gunadharma, creating a structure that resembles that of a pyramid, which has also been referred to as a caitya (shrine), and a sacred mountain. While the temple incorporated all of these architectural characteristics, its general plan is that of a three-dimensional mandala. The monument being a shrine to the Lord Buddha is a popular place for Buddhist pilgrimage. The pilgrim journey starts at the base of the temple and follows a trail around the monument, which goes to the top through three levels. Those symbolize the Buddhist cosmology: Kāmadhātu, Rupadhatu and Arupadhatu. The pilgrim journey has an extensive system of stairways and corridors with 1,460 relief panels on the walls and the balustrades which depict Buddha’s teachings. 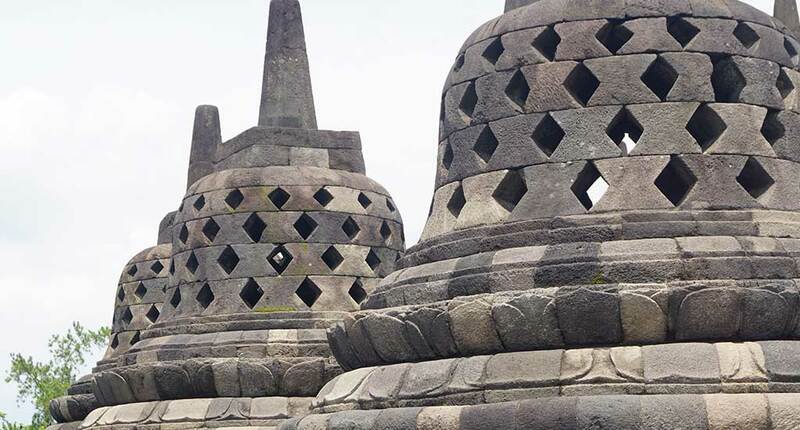 Due of this, Borobudur has the largest and most complete collection of Buddhist reliefs in the world. On the three upper terraces, you will encounter 72 stupas that each contains a sculpture of a seated Buddha with a stone latticework. 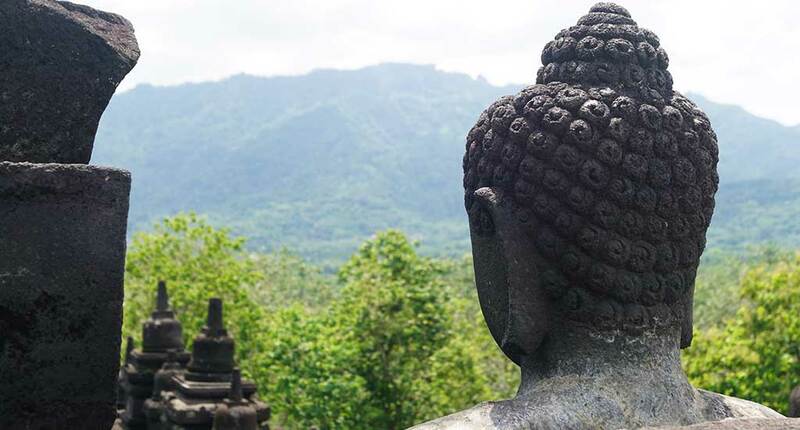 Click here to get an overview of some of the best hotels within the Borobudur area.